In Dachau, Auschwitz, Yad Vashem, and thousands of other locations throughout the world, memorials to the Holocaust are erected to commemorate its victims and its significance. 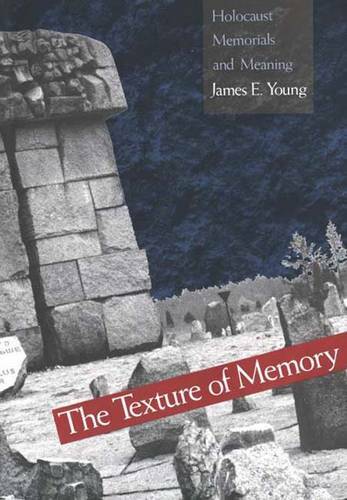 This fascinating work by James E. Young examines Holocaust monuments and museums in Europe, Israel, and America, exploring how every nation remembers the Holocaust according to its own traditions, ideals, and experiences, and how these memorials reflect their place in contemporary aesthetic and architectural discourse. The result is a groundbreaking study of Holocaust memory, public art, and their fusion in contemporary life. Among the issues Young discusses are: how memorials suppress as much as they commemorate; how museums tell as much about their makers as about events; the differences between memorials conceived by victims and by victimizers; and the political uses and abuses of officially cast memory. Young describes, for example, Germany's "counter monuments," one of which was designed to disappear over time, and the Polish memorials that commemorate the whole of Polish destruction through the figure of its murdered Jewish part. He compares European museums and monuments that focus primarily on the internment and killing process with Israeli memorials that include portrayals of Jewish life before and after the destruction. In his concluding chapters, he finds that American Holocaust memorials are guided no less by distinctly American ideals, such as liberty and pluralism. Interweaving graceful prose and arresting photographs, the book is eloquent testimony to the way varied cultures and nations commemorate an era that breeds guilt, shame, pain, and amnesia, but rarely pride. By reinvigorating these memorials with the stories of their origins, Young highlights the ever-changing life of memory over its seemingly frozen face in the landscape.